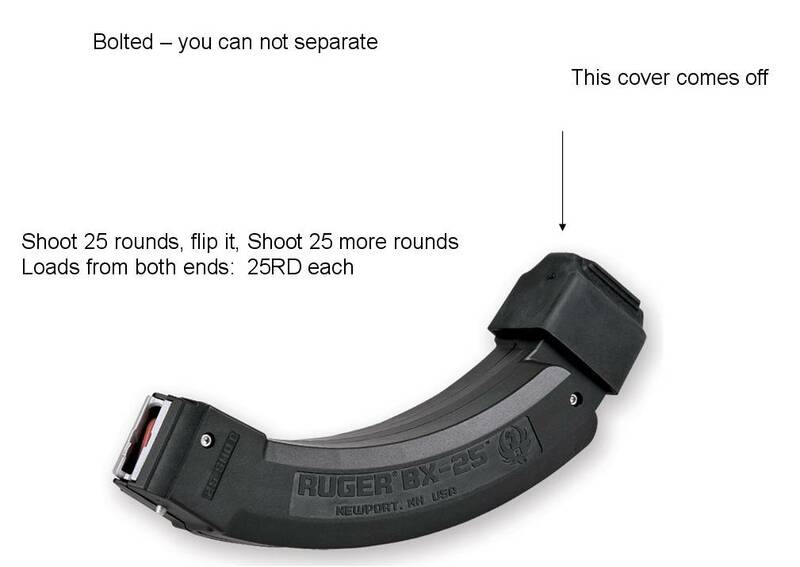 Ruger has now come out with two BX-25 Magazines that have been bolted together (you cannot separate them). The magazines are inverse from one another so the when one magazine runs empty, you simply exject the magazine and flip it around, insert the other end of the magazine and continue shooting. It's like having a 50 round 10/22 magazine. The magazine comes with one cover so that the bottom magazine can be protected from dirt getting into the magazine. Ohio:New York: We do not ship magazines over 30 rounds to Ohio.